6.25CT, 12mm round aquamarine center stone. 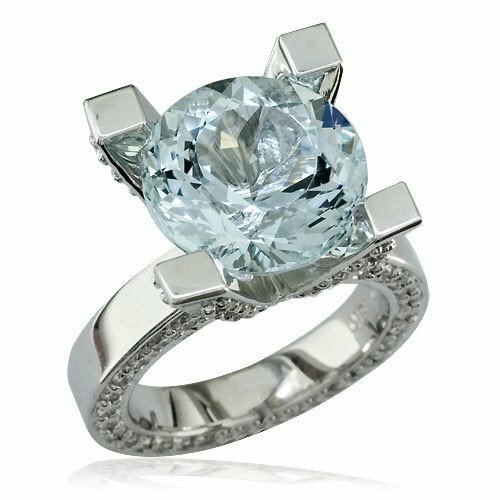 1.75CT total diamond side stone weight. All round brilliant, G-H, VS2-SI1 diamonds. Setting is 16mm wide. Ring is 4mm wide and 3mm thick. Designed and expertly crafted by Sziro Jewelry with high quality materials. 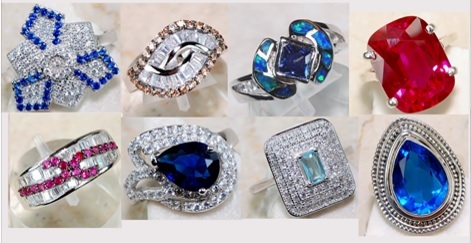 Sziro Jewelry Right had ring collection is a gorgeous assortment of stunning right hand rings that come in seven gems. 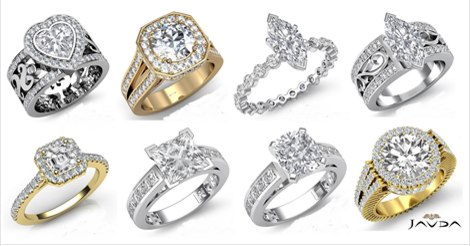 Diamond Rings at Javda Jewelry. 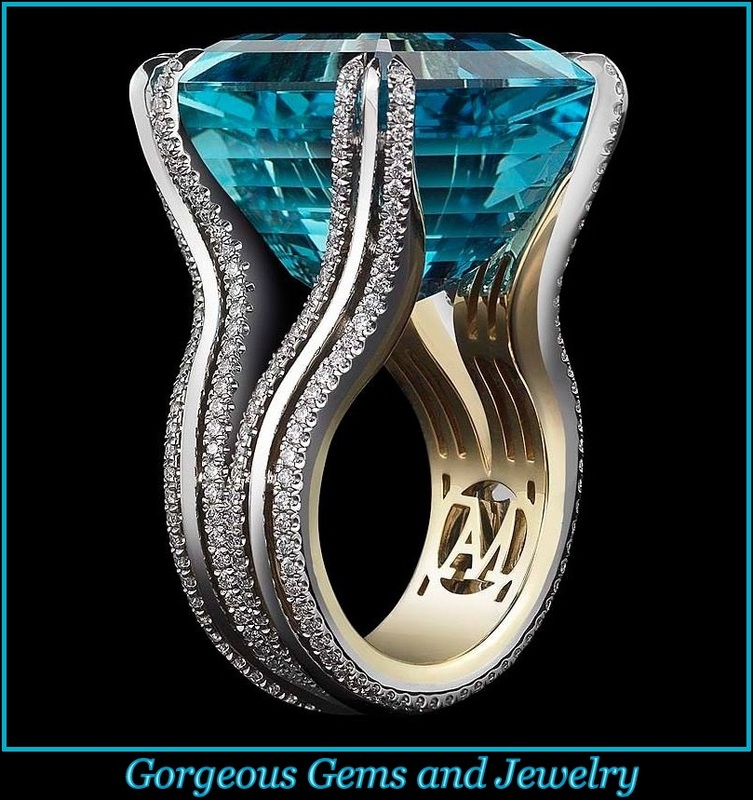 High end custom diamond jewelry specializing in men and women engagement settings, wedding bands, diamond eternity rings, and bridal sets.